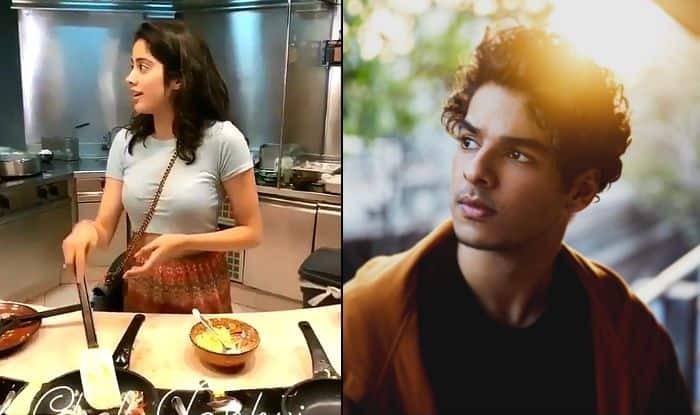 Speculations have been rife about Janhvi Kapoor and Ishaan Khatter dating each other. However, both of them have denied all such rumours. Both the actors impressed the audience with their chemistry in their debut Hindi film Dhadak, that released last year. Since then, the rumours around their relationship are rife in the industry. However, the two have time and again denied the speculations stating they are just friends. In fact, on Koffee With Karan 6, when host Karan Johar asked them about their relationship, both of them maintained that they haven’t been seeing each other. The internet, however, is filled with adorable videos of the duo’s chemistry. Their fans on social media keep sharing their clips proving that they share a cute bond. In one such video, Ishaan can be seen silently supporting Janhvi on stage in front of the media when the actress gets emotional on being asked to answer a question about her late mother Sridevi. On the work front, Janhvi has bagged three films after Dhadak. She is currently shooting for Kargil Girl, a biopic on Indian Air Force pilot Gunjan Saxena, who became the first woman combat aviator to have entered the war zone of Kargil in 1999. She also has Dharma Productions’ big Mughal drama Takht, directed by Karan Johar, in her kitty. She has been announced as the female lead in Rooh-Afza, a horror-comedy that features Rajkummar Rao and Varun Sharma.